Leveraging HTML5, Gamezop allows users to play new games each week on a single app; completely eradicates installation friction. 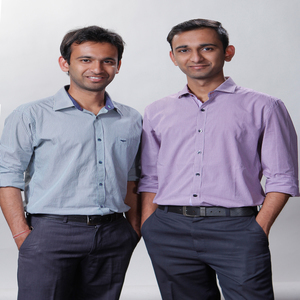 Gamezop co-founders, Yashash and Gaurav Agarwal, have been selected in Forbes Asia’s 30 Under 30 list. The list recognizes the work of 300 individuals (30 in 10 categories) under the age of 30 from the Asia Pacific. In addition, Yashash, at 20, is in the final semester of his Commerce degree at Shri Ram College of Commerce and the youngest amongst 56 Indians on the list. Other Indians on the prestigious list include sportspersons Virat Kohli, Saina Nehwal, and Sania Mirza and entrepreneurs Ritesh Agarwal (Oyo), AnkitaBhati (Olacabs), and ChinmayMalaviya (Foodpanda). Forbes Asia stated, “Gamezop just closed $350K in seed funding with global investors, making Yashash one of the youngest in Asia to raise institutional investment.” Last month Gamezop had announced the round with a set of early stage funds and super angels. A prize distribution ceremony will be organized in Singapore on 19th May. In addition, everyone on the list is invited to join the exclusive Forbes 30 Under 30 private app, where they can network with all others who have been on the 30 Under 30 globally. The Forbes 30 Under 30 is known to be one of the most exclusive clubs in the world. The Delhi-based company aggregates short and addictive games from around the world, which can be played on a single app and removes the friction of constantly installing and uninstalling individual games. Although Android only at this point, all of the hundreds of games featured on the Gamezop app are device- and OS-agnostic and can be shared as weblinks for play on any smartphone, tablet, PC, or Smart TV. The company is building a product for global markets and is extending features to HTML5 game developers to get them on par with their native counterparts. Yashash Agarwal has been in the gaming business for two years now. “Content-light platform plays have been most scalable in the digital consumption space. Popular forms of digital entertainment, such as music or videos, already have platforms that serve as one-stop destinations. However, in gaming one only hears of individual titles. We are building a platform to make gaming reach the inflection point that the others have already witnessed,” he said. Gamezop has also been selected to represent India this April at the International Business Model Competition at Redmond, co-hosted by Microsoft, Harvard Business School, and Stanford Graduate School of Business. In May, they will travel to Silicon Valley for the global finals of the TiE International Startup Competition.